Beautiful XVIII th century estate for the oldest part. The vineyard is composed by fields, an orchard, and a garden with hundred-year-old trees called “Le Clos”, located on the heights of Vouvray. The property is in the middle of the vines, which is rare on the appellation since most of the other winegrowers are close to their cellar in the valley, dug in micaceous chalk. On the whole, the vineyard counts a bit more than 16,72 hectares of 30 average age vines. There is a total respect for the environment in the vineyard which is run on the principles of sustainable agriculture. The harvest is manual for the still wines. The underground wine warehouse was built in 2008 to store the Traditional Method near the Clos. Superb Vouvray moelleux 2009, gold medal with the competition of Journées Gastronomiques de Romorantin 2010, mixing aromatic richness and persistence in mouth, a wine which releases from subtle aromas of almond and lime, all in harmony. Very charmer, soft Vouvray 2009, of a beautiful golden color, elegant, with nuances of honey of acacia, of ripe orange and white flowers, fleshy and is typified. Beautiful Vouvray cuvée Marcus 2009, of a very beautiful color, with the scents of white fruits and broom, with in mouth of pink and the subtle gingerbread notes, of a great persistence. 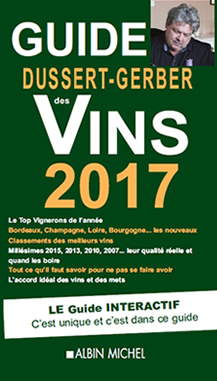 Vouvray demi-sec Classique 2010 is of suave mouth, all in subtlety of aromas, is of beautiful golden color, with the nuances of quite ripe fruits, of a beautiful fullness, to discover on a blue cheese. Superb 2009, silver medal with the competition of Journées Gastronomiques de Romorantin 2010, all in subtlety of aromas (cooked fruits, hawthorn), of a soft consistency, all in smoothness. 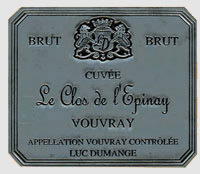 Excellent Vouvray cuvée Le Clos de L’Épinay brut Millésime 2006, gold medal with the competition of the vine growers Indépendants 2012. Vouvray Tête de cuvée brut, silver medal with the competition of the Mâcon great wines, is of beautiful robe, with the nut and fruit perfumes fresh, dense, of beautiful light foam like Vouvray brut Classique, all in harmony, with these notes of fresh fruits and acacia, a really attractive wine, very fresh with a finale all in suppleness. Our traditional methods made the reputation of our house, 18 months at 2 years of catch of foam, very best wine.